Ciara & Company Bowtique: PCF ETSY TEAM'S- FLIP FLOP SCAVENGER HUNT HAS BEGUN----START THE HUNT TODAY AND WIN SOME BEYOND AWESOME PRIZES!!! WOOHOO! PCF ETSY TEAM'S- FLIP FLOP SCAVENGER HUNT HAS BEGUN----START THE HUNT TODAY AND WIN SOME BEYOND AWESOME PRIZES!!! WOOHOO! The PCF Team on Etsy is having a great event for April! It is called the Spring Tracks Flip Flop Scavenger Hunt! There will be 40 shops, and all will have a hidden picture that you will have to "hunt" through their shop items for (HINT- the picture is the image in this listing)! 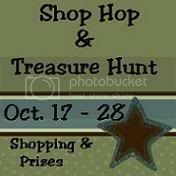 Each shop has donated a prize worth at least a $10 value; that is a total of $400 plus in prizes...woohoo!!! There will be a total of 8 prize packs given out (winners will be chosen at random, based upon number of entries correct and complete entries we have)...each prize pack will consist of 5 prizes..so each winner will get a prize pack of at least an incredible $50 value..how about that? The contest will begin at 7:00 EST on April 23rd, and will run for one week; all entries must be submitted by midnight April 31st...and no entries will be accepted after this time. Many of the prizes are featured on the PCF team's FB page, so go check it out...you will see for yourself, we are talking some great loot here for the 8 winners of this event! (Surpise Prize Pack pics will not be shown..it is a surprise, lol..but most fabulous indeed)! Great event, Nichole! Thanks so much for all your hard work! I WAS HONORED WITH THE LIEBSTER AWARD!!! !